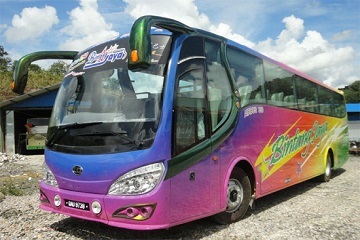 Bintang Jaya Express is one of the well-managed express bus company based in East Malaysia. The company was established in July 2004 and has been operating as a trusted bus service provider for over 10 years in the industry. 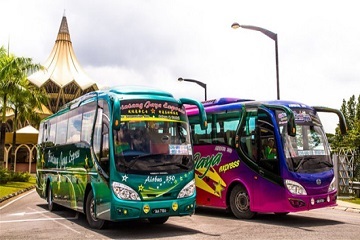 Bintang Jaya Express operates over 50 bus routes daily in the state of Sarawak. It offers the bus services depart from Sibu, Kuching, Sarikei, Bintulu and Miri daily. The popular bus routes include bus service departs from Sibu and Sarikei. It has around 12 bus routes depart daily from Sibu and Sarikei to various towns within Sarawak. In addition, departure point such as bus depart from Kuching is also one of the popular routes. 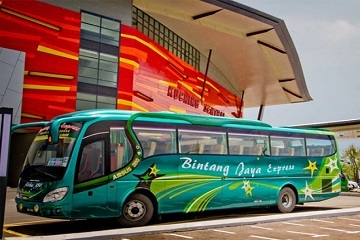 Bintang Jaya Express offers single deck buses with capacity between 40 to 45 seats. 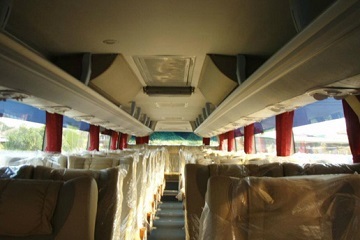 The buses are equipped with air-conditioning, recline seats, LCD TV and also DVD system. 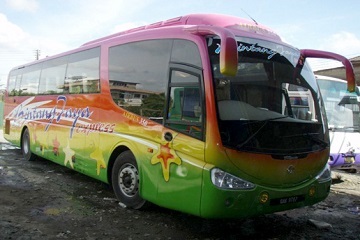 Bintang Jaya Express aims to provide a relaxing, safe and entertaining journey to all of its patrons. They also carefully selected and trained their bus drivers in order to be in line with their commitment towards service excellence. No. 37, Lot 1122, Jalan Tai Shin Jar, Batu 3, 93250 Kuching, Sarawak. Majlis Daerah Serian, Terminal Bus No 13, 94700 Serian, Sarawak. Jalan Hospital, 95000 Sir Aman, Sarawak. Counter No 7, Nyelong Pass, Jalan Meranti, 96100 Sarikei, Sarawak. Counter No 12, Terminal Bus Medan Jaya, 97000 Bintulu, Sarawak. Terminal Bus Pujut, Pujut Corner, 98000 Miri, Sarawak. Majlis Daerah Limbang, Jalan Kubu, 98700 Limbang. Terminal Bas Lawas, 98850 Lawas, Sarawak. Jalan Tugu, Kampung Anyir, 88300 Kota Kinabalu, Sabah. No 262, Jalan Tanjung Pura, Pontianak.